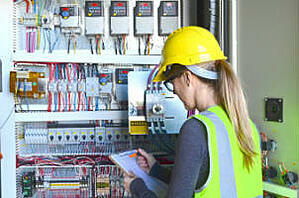 “What gets measured gets managed”–It’s true for most aspects of a business, and safety improvements are no exception. To consistently improve your PSM, it’s critical to establish a few data points as barometers of success. Incident and injury rates are commonly used, but there are plenty of PSM-specific metrics, as well: spills, combustions and pressure valve releases, just to name a few. As with any safety initiative, PSM requires strong leadership and a safety centered culture—particularly if you’re making major changes to your current policies. Team leaders, site managers and even upper management need to be on board, openly discussing hazards and exemplifying safe behavior. Employees must also be brought into the fray as early as possible in your PSM process. In fact, the PSM-NEP includes an employee participation clause that requires all workers—even maintenance staff—to be included in your program’s development. The same goes for contractors, who must be informed of all fire, explosion and toxic release hazards. OSHA also requires that employers compile and update written process safety standards to be made available to all employees. To make it easier to update documents and spread the word, consider using an electronic document management system. Given documentation, auditing and training requirements, new PSM policies can take a long time to implement—but they don’t have to. To ensure your teams adopt safe practices quickly and effectively, leverage the knowledge and experience of your longest-standing employees. Both during training and in day-to-day work, their input can be invaluable in helping less experienced team members get up to speed. No matter how well trained your teams are, structurally unsound equipment can—and will—lead to incidents. From pipes, valves and rotating machinery to the complex devices that control them, it’s imperative that you make the investments necessary to maintain your equipment’s structural integrity. Maintain backups if possible, as well, so that encroaching deadlines don’t encourage workers to make due with dangerously compromised machinery. Don’t wait for OSHA to take issue with your PSM! The PSM-NEP requires employers to evaluate their own compliance at least once every three years. While internal audits may seem like an inconvenience, they’ll ultimately uncover issues that make it easier to consistently improve your PSM in the future. To streamline the process, consider an electronic audit management system. If you’re trying to improve your current PSM, your previous practices are a solid place to start. What worked well? What needs improvement? Whether you’re restarting an existing worksite or opening a new one, a thorough pre-startup review will get you headed in the right direction. Plus, OSHA requires it! Likewise, reviewing past incidents is the best way to direct your efforts and make impactful changes within your organization. From employee participation to mechanical integrity to permit management, there are more than a few details to keep track of in improving your company’s PSM. Fortunately, a comprehensive safety software suite can make the job a whole lot easier. To better use your time and your team’s resources, consider implementing BasicSafe’s Process Safety Management tool and other modules. To learn more or request a free demo, contact us today.